Join us May 22, 2019 from 6-8 PM at the NC Arboretum for a fundraiser to support our work. 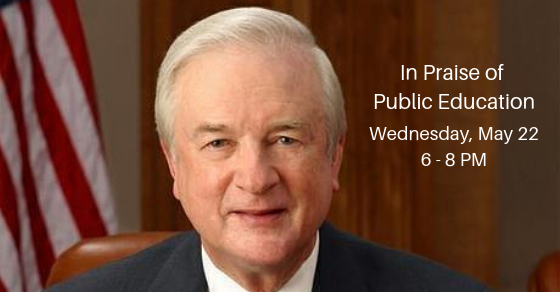 We’ll engage in a community conversation about public education, featuring our state’s greatest champion of public education, former Governor James B. Hunt, Jr. Please consider helping us make our 2019 fundraiser successful by being an 1840 Cornerstone Society Sponsor of this event at the Builder, Champion, Leader, Partner or James B. Hunt, Jr. Founder’s Circle level to benefit Public Schools First NC. Due to the nature of the venue, we have very limited seating for individual tickets, so get your ticket now! Visit the Facebook event page for more details — and let us know you’re coming!